Rahul Dravid: "He would start at nine in the morning and bat for the entire day"
"He would start at nine in the morning and bat for the entire day"
A day after announcing his Test retirement, Rahul Dravid joined his Rajasthan Royals team mates at a six-day pre-season camp at the World Cricket Academy’s Institute of Sports, in the outskirts of Nagpur. By now, it had become one of Dravid’s regular haunts. From the time he had returned from the Test tour of Australia two months ago, Dravid had been visiting on and off to train for the IPL. Dravid, 39, wasn’t even in the final chapter of his career. This was the start of the epilogue. And yet, one of the foremost Test batsmen of his era was looking to prove to himself that he could thrive as a batsman in the IPL, and fill the voluminous captaincy boots of Shane Warne. Former India mental conditioning coach Paddy Upton, who is now employed with the Pune Warriors, isn’t surprised that Dravid was preparing as meticulously as ever even after his international retirement. “Having worked very closely with Rahul and having seen him from close quarters, I can tell you that he is a consummate professional. There are no short-cuts involved with his cricket,” says Upton. It’s clear that Dravid’s preparation paid off. 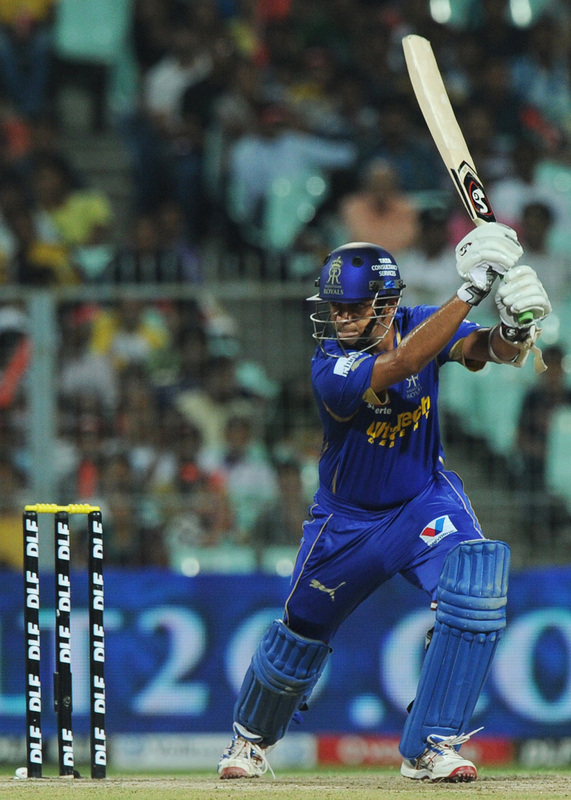 With 462 runs, Dravid was the seventh-highest run scorer in the league phase. As a captain, however, he began the season under a certain amount of pressure, knowing that he would be compared, at every stage, to Warne. Dravid’s relaxed demeanour on the field, moreover, would suggest that he has more in common with his predecessor than most would have imagined. Off the field, there has been further evidence contradicting Dravid’s taciturn reputation, such as a ‘leaked’ video of a Royals bonding session, in which all the players are caught shaking a leg, their skipper as enthusiastically as anyone. “Having retired from international cricket, there is less pressure on him,” says Bharucha. “But he’s always had a lighter side to his personality. It’s just that it seems to be on display more now than it used to be earlier.” Apart from this, Bharucha zeroes in on another key quality, his sense of balance. One of the younger lot to have benefited from this is Rahane, who has basked in the company of his childhood idol at the crease and in the dressing room. “Rahul bhai is not like Shane Warne, who will always come up with surprises. Instead, he keeps things as simple as possible, whether it’s his batting or when he’s trying to give you instructions,” says Rahane. It’s unclear whether Dravid will continue to play on next season — his latest statements indicate that Rajasthan are on the lookout for a younger opener to partner Rahane. 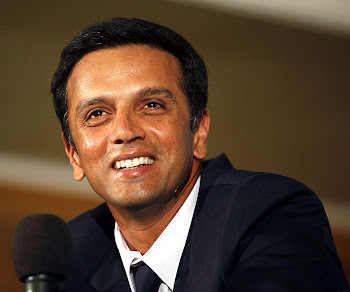 But even if his playing days are over, the Royals would surely want to retain Dravid’s presence in their dugout.